All individual sow tickets are now on sale! Just want to come to the festival for a certain show? Or spend a single day? Individual Show Tickets are on Sale Now! Elvis Gospel Hour "Where No One Stands Alone"
For the true Elvis fan, this ticket allows you to enjoy each and every show during the three day Niagara Falls Elvis Festival weekend. 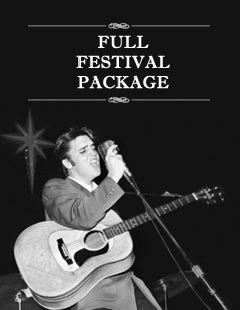 Included in the full festival package are tickets to all three spectacular shows, featuring world class Elvis Tribute Artists and of course, tickets to all four rounds of the Elvis Tribute Artist Contest. This ticket also includes access to the after party & dance after the show. Weekend Pass is Sold Out!